Stroke is a well-documented potential risk of structural cardiac interventions. As a result of the far-reaching burden of stroke on patients, caregivers and the healthcare system, new medical interventions and therapies are being developed to help mitigate this risk. 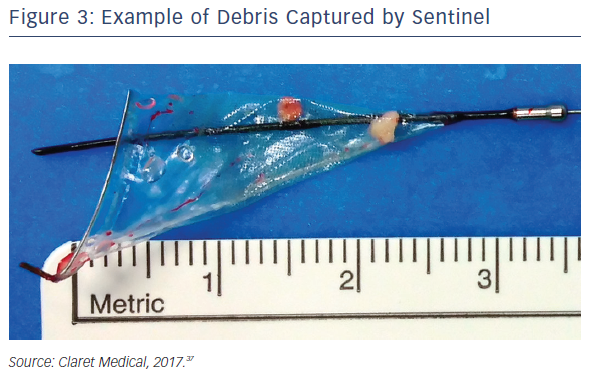 One such intervention is the recently FDA-cleared Sentinel™ Cerebral Protection System (Sentinel; Claret Medical, Santa Rosa, CA, USA) designed to capture and remove debris dislodged during transcatheter aortic valve replacement procedures. In the SENTINEL IDE Study, and in a more recent all-comers trial, Sentinel significantly reduced periprocedural strokes by 63 and 70 % respectively. In this paper, we review the growing body of evidence supporting the use of Sentinel in transcatheter aortic valve replacement and other endovascular procedures. Ulrich Schäfer received travel support and speakers’ honoraria from Claret Medical. As the field of interventional cardiology has grown, so too has interest in mitigating severe adverse outcomes such as stroke. Unfortunately, the risk of stroke is increased by many underlying disease conditions (atrial fibrillation, patent foramen ovale, carotid artery disease and other vascular disease affecting brain perfusion, etc. ), making clear differentiation between cardiac intervention-related cerebral infarction and the effect of other coexisting factors very difficult. In this regard, the prevalence of atrial fibrillation in average transcatheter aortic valve replacement (TAVR) patient cohorts has been reported to be over 31 % (9 studies, 285/902 patients)1–9 and the prevalence of previous stroke has been reported as high as 10.8 % (14 studies, 111/1028 patients),6–14 confounding the attribution of stroke to TAVR procedures. Sentinel™ Cerebral Protection System (Claret Medical, Santa Rosa, CA, USA) is designed to protect the brain from the risk of stroke by filtering, capturing and removing debris dislodged during many interventional and surgical left heart, as well as endovascular, procedures. The device consists of two filters within a single 6 French delivery catheter percutaneously placed from the right radial (preferred) or brachial artery over a 0.014" guide wire. The filters are deployed in the brachiocephalic and the left common carotid arteries, the two main arteries supplying the brain, and are withdrawn into the catheter at the conclusion of the procedure (Figures 1 and 2). Since the initial proof of concept study in 2011, numerous manuscripts or presentations describing experience with Sentinel have been published. Sentinel has shown procedural success of greater than 90 % across multiple studies and therapies, which is paralleled by its strong safety profile (Table 1).1–3,12–15 Although MRI imaging evidence in terms of reduced lesion number and volume is variable across studies,2,3,13 detailed histopathological assessments have described near ubiquitous, and remarkably consistent, capture of a wide variety of debris types within the filters (Figure 2). Not surprisingly, due to the success experienced with Sentinel in TAVR procedures, other structural interventions known to be cardioembolic, including mitral valve interventions (MitraClip),31 left atrial appendage occlusion procedures (LAAO)32 and thoracic endovascular aneurysm repair (TEVAR),33,34 have shown remarkably similar patterns of debris capture and procedural success with the use of cerebral embolic protection (CEP). Overall, patients included in studies of Sentinel with TAVR to date have been elderly and at increased risk of surgical mortality and morbidity (including perioperative stroke) based on traditional surgical risk scores such as the Society of Thoracic Surgeons and the Logistic EuroSCORE. 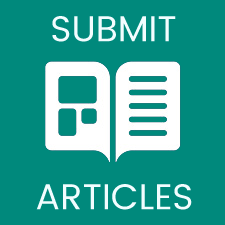 Importantly, studies that have included baseline MRI imaging have found a wide range of pre-existing T2/FLAIR lesion volume, indicating that prior brain injury and gliosis, or white matter disease, are prevalent in this patient population. In addition to successful use of Sentinel with TAVR, a number of small feasibility studies have shown promise for the use of Sentinel with other endovascular therapies, including LAAO, TEVAR, MitraClip and valve-in-valve procedures. The 30-day rates of overt neurological events, both stroke and transient ischemic attack, were low across all published studies of the Sentinel device. In the CSI-Ulm trial, the largest consecutively enrolled cohort of Sentinel in a commercial setting (n=802), the overall 7-day stroke rate when Sentinel CEP was used was 1.4 %, representing a statistically significant reduction when compared to a cohort of subjects who did not receive CEP at 4.2 % (p=0.03).36 A similar trend was observed in the randomised SENTINEL study (n=363), wherein the periprocedural (≤72 h) stroke rate for Sentinel-protected patients was reduced by 63 %; 3.0 % for patients protected with Sentinel, versus 8.2 % (p=0.05) for unprotected patients.37 When considering the more sensitive endpoint of any worsening of the National Institute of Health Stroke Scale, a study-level meta-analysis by Guistino et al. found a strong trend in favour of TAVR with cerebral embolic protection (M-H Risk Ratio 0.55 [0.27, 1.09], p=0.09) further supporting the results observed in both the CSI-Ulm and Sentinel trials.38 These positive trends in stroke reduction are particularly important when considering the numerous studies that have confirmed the occurrence of stroke post-TAVR. Seven studies have reported 30-day mortality after TAVR with Sentinel, with rates ranging from 0 to 3 %. 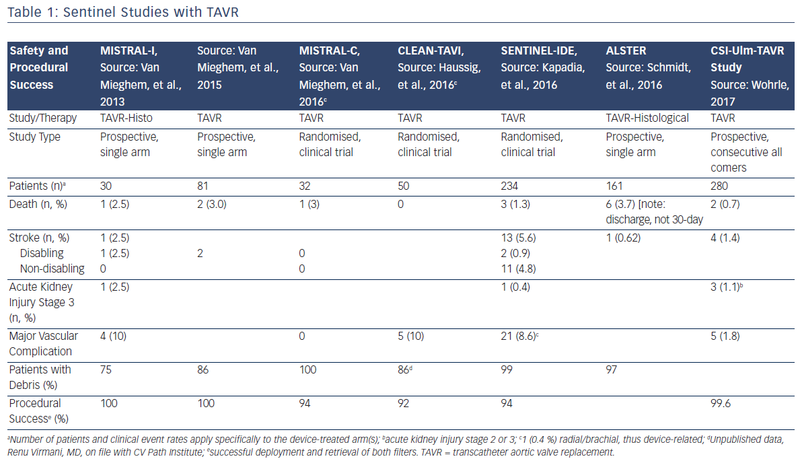 Within the three randomised trials in which TAVR with Sentinel protection was compared to unprotected TAVR, no significant differences in 30-day mortality were observed between the device treatment and control groups, although deaths in the Sentinel groups were consistently numerically lower (Table 1). Because the deployment and retrieval of the Sentinel device slightly lengthens the TAVR procedure, there was some early concern about potential increases in acute kidney injury. The low rates of Stage 3 acute kidney injury reported in the early Netherlands experience (2.5 %)1 and SENTINEL Study (0.4 %)13 alleviate these concerns. Low rates of bleeding and vascular complications are similarly reassuring. In the SENTINEL Study, only 1 out of 231 patients (0.4 %) experienced a major vascular complication, a pseudoaneurysm, related to brachial access for the Sentinel device. 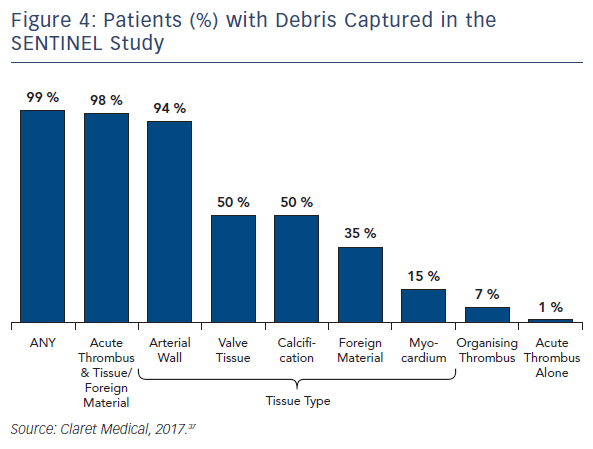 Seven of the published studies, as well as several conference proceedings, have reported histopathological analyses of debris captured by the Sentinel device. The methods for the histopathological analyses were similar across the studies and were performed by the same independent core laboratory. As described previously, regardless of the primary procedure (TAVR, Mitraclip, LAAO, TEVAR), all studies reported near ubiquitous capture of debris removed from the Sentinel device. Rates for debris capture per patient ranged from 75 to 100 % across studies. In order to better understand the prevalence and etiology of the debris captured by the filters, the Sentinel-H Study was conducted. Sentinel-H was a multicentre, all-comers study of 217 patients in Europe. In accordance with other Sentinel studies, debris was captured in 99 % of patients. As with other Sentinel studies, acute thrombus was found most commonly (85 %), and nearly always in conjunction with tissue-derived material, including arterial wall, valve tissue, calcification and myocardium. Organising/organised thrombus and foreign material were also common.39 In addition to the high rates of debris capture (Figures 3 and 4), the SENTINEL Study discovered that 1 in 4 patients had, on average, 25 particles in their filters that were greater than or equal to 0.5 mm in size. Despite advances in TAVR therapies and techniques, stroke is and will continue to be the Achilles heel of structural heart and endovascular procedures. Indeed, the complexity of discriminating between clinical condition-related strokes and cardiac intervention-related strokes needs further refinement, but all would agree that reducing stroke, regardless of cause, should be a goal. Sentinel is a good step toward that goal. Across multiple studies, Sentinel has demonstrated a strong safety profile and a >92 % procedural success rate. 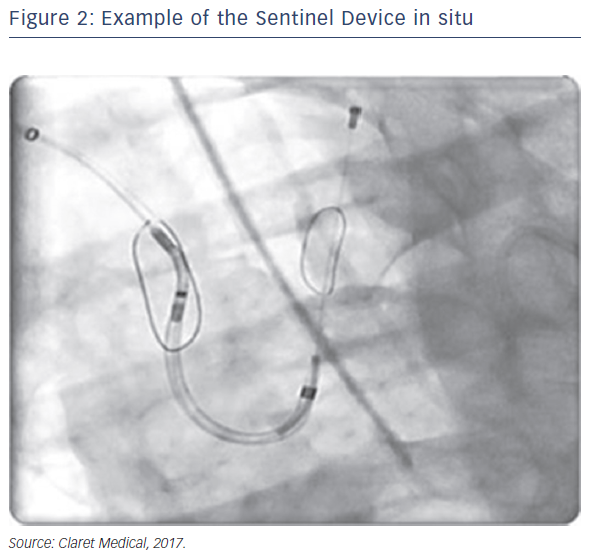 The ease of use of the Sentinel device, combined with minimal disruption to the normal TAVR workflow, make it a viable adjunct therapy that could soon be considered a standard of care for TAVR, and possibly for other cardiac and vascular interventions. Studies to date using Sentinel have been performed in high-risk surgical patients who have an elevated ‘background noise’ of medical history. However, Sentinel has now been cleared by the US FDA to be used in all TAVR patients regardless of surgical risk at the same time that TAVR expands to treat moderateand low-risk patients and potentially asymptomatic aortic stenosis patients. New repositionable TAVR devices facilitate more precise valve implantation but may cause higher embolic burden, which will further emphasise the role of cerebral embolic protection. Van Mieghem NM, Schipper ME, Ladich E, et al. Histopathology of embolic debris captured during transcatheter aortic valve replacement. Circulation 2013;127:2194–201. Van Mieghem NM, van Gils L, Ahmad H, et al. Filter-based cerebral embolic protection with transcatheter aortic valve implantation: the randomised MISTRAL-C trial. EuroIntervention 2016;12:499–507. Haussig S, Mangner N, Dwyer MG, et al. Effect of a cerebral protection device on brain lesions following transcatheter aortic valve implantation in patients with severe aortic stenosis: the CLEAN-TAVI randomized clinical trial. JAMA 2016;316:592–601. Naber CK, Ghanem A, Abizaid AA, et al. First-in-man use of a novel embolic protection device for patients undergoing transcatheter aortic valve implantation. EuroIntervention 2012;8:43–50. Schmidt T, Akdag O, Wohlmuth P, et al. Histological findings and predictors of cerebral debris from transcatheter aortic valve replacement: the ALSTER experience. J Am Heart Assoc 2016;5:e004399. Eggebrecht H, Schmermund A, Voigtländer T, et al. Risk of stroke after transcatheter aortic valve implantation (TAVI): a meta-analysis of 10,037 published patients. EuroIntervention 2012;8:129–38. Nombela-Franco L, Webb JG, de Jaegere PP, et al. Timing, predictive factors, and prognostic value of cerebrovascular events in a large cohort of patients undergoing transcatheter aortic valve implantation. Circulation 2012;126:3041–53. Bosmans J, Bleiziffer S, Gerckens U, et al. The incidence and predictors of early- and mid-term clinically relevant neurological events after transcatheter aortic valve replacement in real-world patients. J Am Coll Cardiol 2015;66:209–17. Kodali SK, Williams MR, Smith CR, et al. Two-year outcomes after transcatheter or surgical aortic-valve replacement. N Engl J Med 2012;366:1686–95. Kapadia S, Agarwal S, Miller DC, et al. Insights into timing, risk factors, and outcomes of stroke and transient ischemic attack after transcatheter aortic valve replacement in the PARTNER trial (placement of aortic transcatheter valves). Circ Cardiovasc Interv 2016;9:2 e002981. Holmes DR, Jr, Nishimura RA, Grover FL, et al. Annual outcomes with transcatheter valve therapy: from the STS/ ACC TVT registry. J Am Coll Cardiol 2015;66:2813–23. Van Mieghem NM, El Faquir N, Rahhab Z, et al. Incidence and predictors of debris embolizing to the brain during transcatheter aortic valve implantation. JACC Cardiovasc Interv 2015;8:718–24. Kapadia SR, Kodali S, Makkar R, et al. Cerebral embolic protection during transcatheter aortic valve replacement. J Am Coll Cardiol 2016;69:367–77. Schmidt T, Schluter M, Alessandrini H, et al. Histology of debris captured by a cerebral protection system during transcatheter valve-in-valve implantation. Heart 2016;102:1573–80. Gress DR. The problem with asymptomatic cerebral embolic complications in vascular procedures: what if they are not asymptomatic? J Am Coll Cardiol 2012;60:1614–6. Pagnesi M, Martino EA, Chiarito M, et al. Silent cerebral injury after transcatheter aortic valve implantation and the preventive role of embolic protection devices: A systematic review and meta-analysis. Intl J Cardiology 2016;221:97–106. Bernick C, Kuller L, Dulberg C, et al. Silent MRI infarcts and the risk of future stroke: the cardiovascular health study. Neurology 2001;57:1222–9. Gupta A, Giambrone AE, Gialdini G, et al. Silent brain infarction and risk of future stroke: a systematic review and meta-analysis. Stroke 2016;47:719–25. Barber PA, Hach S, Tippett LJ, Ross L, Merry AF, Milsom P. Cerebral ischemic lesions on diffusion-weighted imaging are associated with neurocognitive decline after cardiac surgery. Stroke 2008;39:1427–33. Bokura H, Kobayashi S, Yamaguchi S, et al. Silent brain infarction and subcortical white matter lesions increase the risk of stroke and mortality: a prospective cohort study. J Stroke Cerebrovasc Dis 2006;15:57–63. Mokin M, Zivadinov R, Dwyer MG, Lazar RM, Hopkins LN, Siddiqui AH. Transcatheter aortic valve replacement: perioperative stroke and beyond. Expert Rev Neurother 2017;17:327–34. Ma VY, Chan L, Carruthers, KJ. The incidence, prevalence, costs and impact on disability of common conditions requiring rehabilitation in the US: stroke, spinal cord injury, traumatic brain injury, multiple sclerosis, osteoarthritis, rheumatoid arthritis, limb loss, and back pain. Arch Phys Med Rehabil 2014;95:986–95. Spieler JF, Lanoë JL, Amarenco P. Costs of stroke care according to handicap levels and stroke subtypes. Cerebrovasc Dis 2004;17:134–42. Leon MB. Transcatheter or surgical aortic-valve replacement in intermediate-risk patients. N Engl J Med 2016;374:1609–20. Popma JJ, Adams DH, Reardon MJ, et al. Transcatheter aortic valve replacement using a self-expanding bioprosthesis in patients with severe aortic stenosis at extreme risk for surgery. J Am Coll Cardiol 2014;63:1972–81. Wendler O, Schymik G, Treede H, et al. SOURCE 3 registry: design and 30-day results of the European post approval registry of the latest generation of the Sapien 3TM transcatheter heart valve. Circulation 2017;116:025103. Frerker C, Schluter M, Sanchez OD, et al. Cerebral protection during MitraClip implantation: initial experience at 2 centers. JACC Cardiovasc Interv 2016;9:171–9. Meincke F, Spangenberg T, Kreidel F, et al. Rationale of cerebral protection devices in left atrial appendage occlusion. Catheter Cardiovasc Interv 2017;89:154–8. Giustino G, Mehran R, Veltkamp R, Faggioni M, Baber U, Dangas GD. Cerebral embolic protection during TAVR: a clinical event meta-analysis. J Am Coll Cardiol 2017;4:463–70. Wohrle J. Coronary and Structural Interventions Ulm – Transcatheter Aortic Valve Replacement (CSI-Ulm-TAVR) University of Ulm. German Society for Cardiology (DGK) 2017 (in press). Claret Medical. Sentinel System Instructions for Use. Santa Rosa, CA: Claret Medical, 2017. Giustino G, Mehran R, Veltkamp R, Faggioni M, Baber U, Dangas GD. Neurological outcomes with embolic protection devices in patients undergoing transcatheter aortic valve replacement: a systematic review and meta-analysis of randomized controlled trials. JACC Cardiovasc Interv 2016;9: 2124–33.